24-Hour Service / 800.447.6907 Need A Quote? Serving Michigan since 1974. Over 40 years ago, John Pleune started this company with a mission to set his company apart from the competition. 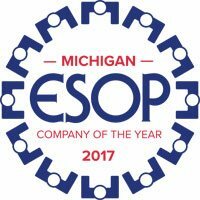 His strategy - provide Lansing, Grand Rapids, and the surrounding MI areas with the best service possible by delivering prompt, quality HVAC service & repair to the commercial and industrial markets. The idea worked, the company grew, and evolved into a model of business that by design, constantly changes to meet the needs of the customer. What sets Pleune apart from their competition is Pleune Service Company is a 100% Employee-Owned Company. What started out as a growth strategy influenced the very structure of the company. Quite simply, every client speaks directly to an owner. This model of of organization provides unparalleled levels of service, responsiveness, and accountability. Exemplary customer service at the highest levels from every member of the organization has been the catalyst for the company’s growth and reputation as an industry leader. Pleune has added plumbing, piping, electrical and controls, as well as built a 10,000 sq ft fabrication center and an additional office in Lansing. A fleet of highly-trained, EPA-Certified HVAC technicians. Response is available 24 hours a day, 7 days a week, 365 days a year. Coverage across a majority of the Lower Peninsula. Service technicians throughout the state for quick response. A pride of ownership that assures the highest level of service in the industry. Our commitment to our employees, our customers, and our community spans decades of projects and relationships. Call us to see how we can share our experience and passion for the industry to assist you with any degree of your mechanical service needs.